Leading networking authority Douglas Comer presents a wide-ranging, self-contained tour of the concepts, principles, and technologies that enable today’s Internet to support applications ranging from web browsing to telephony and multimedia. This Fifth Edition has been thoroughly reorganized, revised, and updated: it includes extensive new coverage of topics ranging from wireless protocols to network performance, while reducing or eliminating coverage of older protocols and technologies. Comer begins by illuminating the applications and facilities offered by today’s Internet. Next, he systematically introduces the underlying network technologies and protocols that make them possible: low-level data communications; packet switching, LAN, and WAN technologies; and Internet protocols such as TCP, IP, UDP, and IPv6. With these concepts and technologies established, he introduces several of the most important contemporary issues faced by network implementers and managers, including quality of service, Internet telephony, multimedia, network security, and network management. Comer has carefully designed this book to support both top-down and bottom-up teaching approaches. Students need no background in operating systems, and no sophisticated math: Comer relies throughout on figures, drawings, examples, and analogies, not mathematical proofs. Broad coverage of key concepts and principles, presented in a technology-independent fashion. Drawing on more than 30 years’ experience at the leading edge of networking research and implementation,Comer focuses on imparting knowledge that students will need regardless of which technologies emerge or become obsolete. Flexibly organized to support both top-down and bottom-up teaching approaches. Chapters may be sequenced in multiple orders to accommodate a wide variety of instructor/student/course needs and preferences. 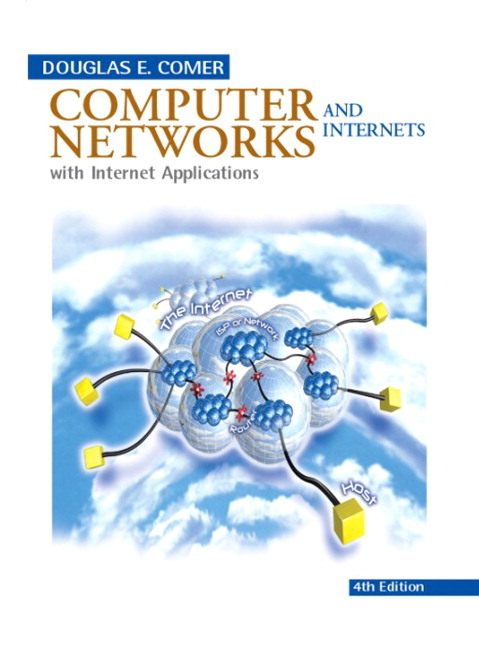 When presented in order, the book exposes students to applications and allows them to write network programs early, while delivering all material in logical order. No sophisticated mathematics required. Instead of formal mathematical proofs, Comer presents highly accessible examples, figures, drawings, and analogies. Exercises and projects in every chapter. Includes comprehensive, hands-on opportunities for students to test their knowledge and gain confidence in their abilities. Completely reorganized, revised, and updated to reflect the latest concepts and technologies, and deemphasize or eliminate older technologies. Major new section on data communications. 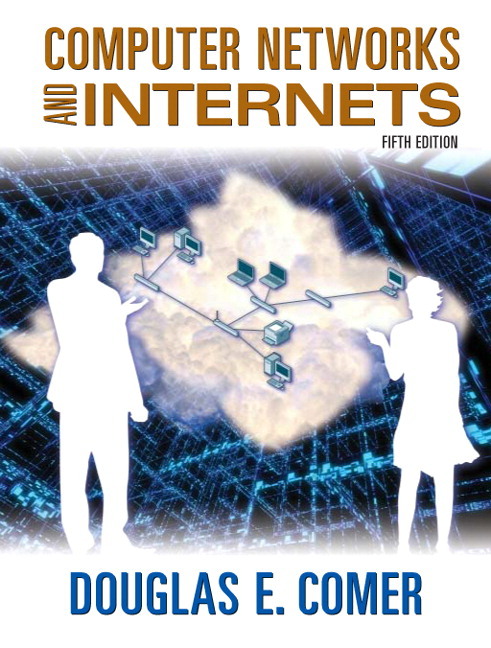 Covers topics ranging from information sources and signaling through transmission, modulation, modems, channelization, access, and interconnection technologies. New chapter on network performance, including coverage of QoS and DiffServ. Two new chapters on emerging Internet and networking trends, covering everything from virtualization to social networking applications. A new introduction to cellular telephone networks and standards, designed to help readers participate in the coming cellular transition to Internet protocols. New coverage of multimedia transport via the widely-used RTP protocol standard.